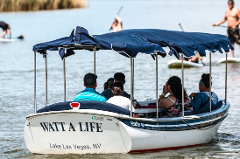 Las Vegas' first floating obstacle course! Perfect place to create memories. 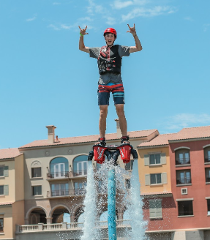 Las Vegas' first floating obstacle course! Perfect place to create memories! 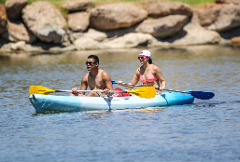 2 Hour Paddleboard Rental at Lake Las Vegas. 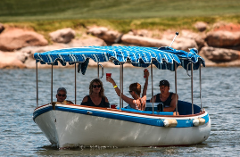 1 HOUR ON THE LUXURY BOAT FOR YOUR LUXURY LIFESTYLE! 2 HOURS ON THE LUXURY BOAT FOR YOUR LUXURY LIFESTYLE! 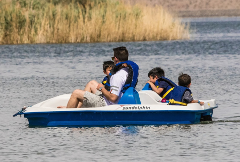 Our Water Bikes are comfortable, and they can get up to 10 MPH! 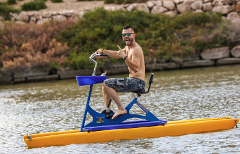 It is 1 person per bike, but You can also connect the water bikes to be together and not drift apart!! 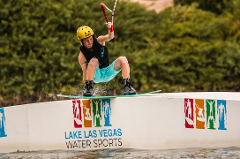 Come ride Las Vegas' first and only cable park. 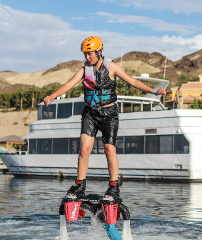 We offer wakeboarding, tubing, kneeboarding, and skiing. 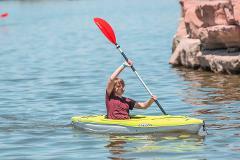 Take advantage of our VIP LED Glass Kayaks! 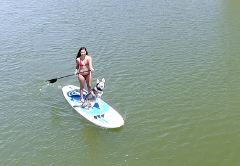 Neon Paddle Single Kayak! Glow Gear included with ticket purchase! 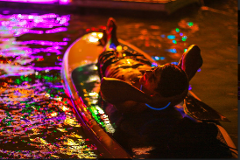 Neon Paddle Bring your own SUP/Kayaks! Glow Gear Included!! 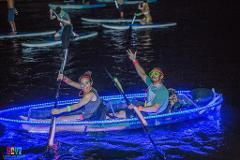 Neon Paddle 2 Person Kayak! Glow gear included! 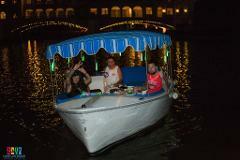 Come join our Neon Paddle in your very own 4 person pedal boat! Neon Paddle Water Bicycle! Glow Gear included with ticket purchase! 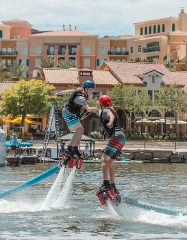 25-minute flyboard experience for 2 people! 25-minute experience for 3 people! 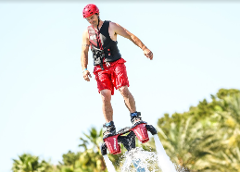 25-minute flyboard experience for 4 people! 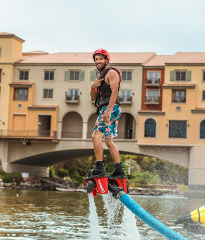 30-minute flyboard experience for 2 people! 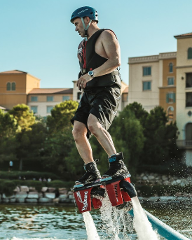 30-minute flyboard experience for 3 people! 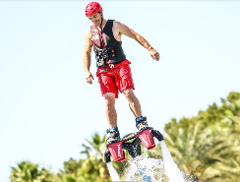 30-minute flyboard experience for 4 people! 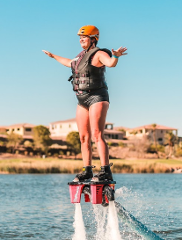 35-minute flyboard experience for 2 people! 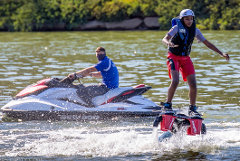 35 Minute Flyboard Experience for 3 people! 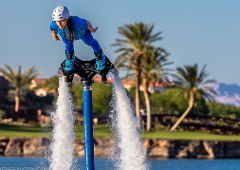 35-minute flyboard experience for 4 people! 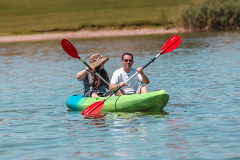 Our Glass Kayak features durable yet lightweight construction and is designed for conditions ranging from totally flat to breezy and choppy! 1 HOUR ON THE LUXURY BOAT FOR A CHAMPAGNE BRUNCH PROVIDED BY LE CAFE DU LAC! Please read long description below! 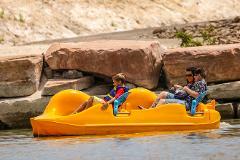 Aqua Park Buy Out - Have the entire park to your group only! 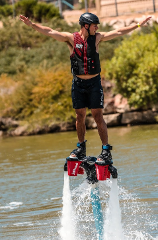 Las Vegas' first floating obstacle course! 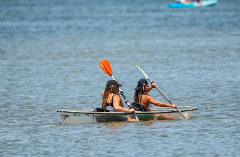 Perfect place to create memories for all ages. This buy out is good for up to 160 people for 1 hour! 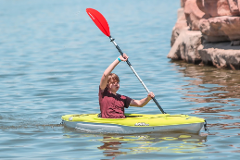 Our Glass Kayak features durable yet lightweight construction and is designed for conditions ranging from smooth and flat to breezy and choppy! 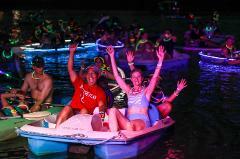 Get ready to experience the only nighttime aqua park party in Las Vegas!